Get ready for the Judge Bork nomination fight on steroids. 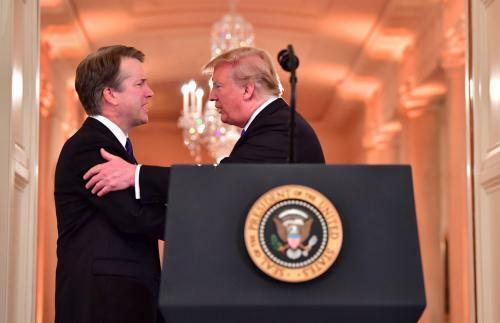 President Trump picked Brett Kavanaugh, a federal appeals court judge, to replace the retiring Justice Anthony Kennedy. Kavanaugh has been described as a brilliant legal mind and a conservative favorite, which is probably why Democratic majority leader Sen. Chuck Schumer immediately said he would oppose his nomination. Kavanaugh worked on the Ken Starr investigation into President Clinton and later served President George H.W. Bush. Get ready for a long and protracted nomination fight.